The leading MEP on the controversial Western Sahara trade file has introduced a last minute extra vote on UN consultations and the deal's potential effects on the UN-led peace process. Things are heating up on the eve of the European Parliament's vote on the proposal to incorporate the parts of Western Sahara occupied by Morocco into the EU-Morocco trade deal. The liberal group (presumably on the instigation of its lead MEP on the file, Ms Marietje Schaake) has now suggested a so-called split vote on a particular paragraph in her report that refers to the UN. A split-vote is seen as the last available option to delete parts of the report once the deadline for amendments has been passed. Concretely, Schaake suggests to split the sentence on the UN into two parts, and have Parliament vote on each part separately. As it stands, the sentence that is paragraph 9 reads:"Underlines that throughout the consultation process the Commission and the EEAS maintained regular contact with the team of the UN Secretary-General’s Personal Envoy for Western Sahara to ensure that the proposed agreement supports UN efforts to achieve a lasting settlement". Schaake's suggestion is to split that sentence into one part saying "Underlines that throughout the consultation process the Commission and the EEAS maintained regular contact with the team of the UN Secretary-General’s Personal Envoy for Western Sahara", and a second part that reads " to ensure that the proposed agreement supports UN efforts to achieve a lasting settlement". Schaake did not ink the report herself; she inherited the finished version from her predecessor Patricia Lalonde (French liberal) who resigned from her post as rapporteur on 10 December 2018 after revelations in EU media that she had been an active member of a Moroccan-sponsored lobby group. Lalonde is at present under investigation for her potential violation of the Parliament's code of conduct. Schaake now exhibits having a different take on the file than her predecessor. Her suggestion to split the above paragraph for a vote would seem to imply that she does not agree with the sentence as written by Lalonde and considers the second part to be incorrect. It may therefore be understood that the leading MEP on the Western Sahara trade file is thus telling the world that she does not believe that the agreement would somehow help along the UN's peace process. 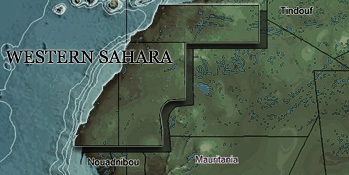 This position is consistent with the amendment Schaake had already put forth to her own report, introducing a paragraph that calls for according trade preferences to the people of Western Sahara in its entirety - underlining that the agreement violates Western Sahara's territorial integrity by only creating potential benefits to the part that is under Moroccan occupation. The people of Western Sahara living in the parts that are not under Morocco's military presence do not get any trade benefits at all. Just yesterday, Schaake voted in favour of having a public debate on the proposal - though it was her political group that had instigated the motion to have such a debate removed from the Parliament's agenda. Patricia Lalonde voted against a public debate. The suggested split vote isn't the only element that points to the poor quality of the report drafted by MEP Lalonde. Read our analysis of the misleading and false statements in that report here. The question remains why MEP Schaake would want to have her name on the unaltered report. A substantial number of MEPs have successfully tabled a call for a referral of the trade proposal to the EU Court of Justice for an advisory opinion on the proposed agreement's compliance with EU law - something the EU Parliament's own legal services could not confirm. In addition, a group of MEPs of S&D and Greens/EFA have tabled an amendment aimed at protecting the rights of consumers to know the origin - Western Sahara or Morocco proper - of products imported under the trade deal. Such a traceability mechanism is the preferred option of the EU Commission - even though Morocco opposes it. A counter-amendment omitting all references to respect for consumer right's legislation has however been proposed by German socialist Bernd Lange, Spanish socialist Elena Valenciano and Italian socialist Alessia Mosca. The chaos in Parliament seems a natural culmination of an already unfathomable process. Following the EU Court of Justice's ruling that EU-Morocco trade preferences can only be applied in Western Sahara with the consent of the people of Western Sahara, the EU Commission went on to negotiate the inclusion of the territory with Morocco - ignoring the Saharawis completely. The Commission could not present any impact assessment or even a statistic on the trade volumes - unthinkable in any other trade negotiations context. A meeting that the UN-recognised representatives of the Saharawi people, the Polisario Front, had requested to explore trade cooperation with the EU, was hi-jacked to make it appear as if the Commission had consulted Polisario on its proposal. A protest letter signed by almost 100 Western Sahara civil society organisations received the same treatment. The Commission accepts Morocco's rejection of a reliable traceability mechanism ensuring transparency on the true origin of products imported into the EU under the deal, in spite of EU legislation making such basic information mandatory on food products. The Parliament's original Rapporteur, Patricia Lalonde, was exposed by EU media as a board member of a think tank working for Morocco, with the stated intent of "putting into perspective the specificity of the Sahara region, its strategic geopolitical aspect and the importance of its economic, social and environmental sustainable development". Lalonde's report, calling on the European Parliament to consent to the proposed deal, contains misleading and outright false claims. Yet on the day of her resignation - as a parliamentary investigation into her potential breach of Parliament's code of conduct was launched - her report was voted on in the Parliament's committee for International Trade. And it is this report that acts as the basis - without as much as a public debate on it - for the vote in plenary tomorrow.